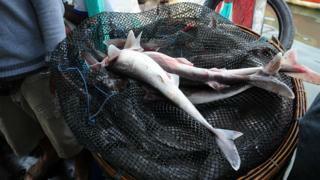 The UK is playing a continuing role in the “damaging trade in endangered shark species”, they say. 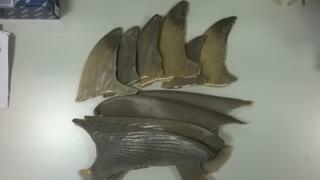 “The discovery of scalloped hammerheads in shark fins that were destined to be sold in the UK highlights how widespread the sale of these endangered species really is,” Dr Andrew Griffiths told BBC News. “It’s almost impossible for consumers to know what they are buying,” said Catherine Hobbs, also of the University of Exeter. 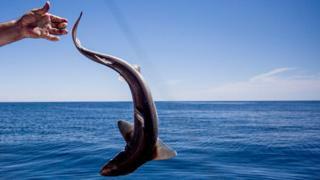 “Sharks are inherently more vulnerable to overfishing because they don’t produce many eggs and they take a long time to reach maturity – to be able to produce offspring,” said Dr Griffiths.